There is no shortage of healthy eating advice available online and in books these days, but, unfortunately, the rules come so thick and fast, and change so frequently, that it can be difficult to get to the bottom of what we should really be eating to achieve optimum health. When it comes to children we also have the stress of worrying about the best food choices for growth, development, concentration, and now, more than ever, to prevent childhood weight gain and its implications for our children’s future health. I understand that it can be daunting and over-whelming trying to choose foods that your children like and that the whole family can enjoy, while also worrying about the health benefits, so this document has been compiled as a quick reference guide to help with choices for your children’s breakfasts and dinners, but particularly school lunches. 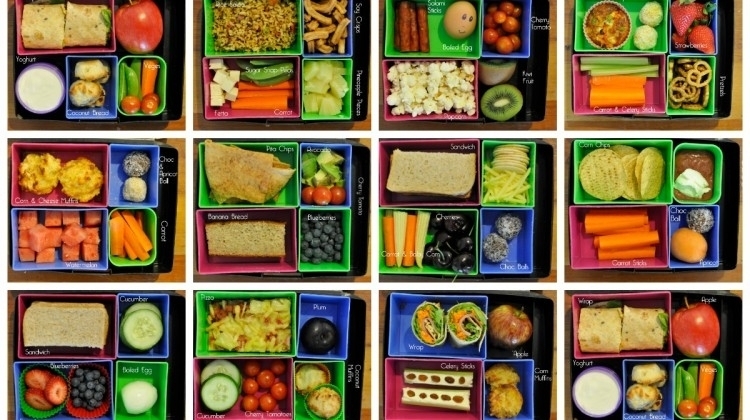 Lunches can be tricky business, and many school healthy eating policies merely outline the foods that should be excluded. 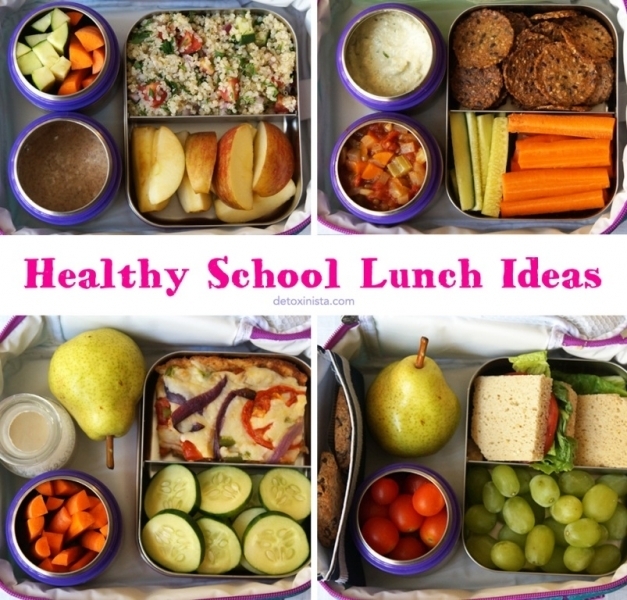 The aim here is to provide ideas of healthy foods that can be included so as to provide more variety for your child and peace of mind for you when packing your child’s lunch box. And remember, the more healthy stuff you pack in, the less room there is for the unhealthy stuff. Whole foods: When it comes to healthy eating choices, the easiest thing to remember is to reduce artificial, factory-produced and chemical-laden snack foods, and replace them with real food, foods your grandparents would recognise. Remember, the more ingredients a product has, the further away from ‘real food’ it is. The additives, chemicals and preservatives included in the products that now fill our supermarket shelves have been proven to have a wide variety of ill-effects, while at the same time taking the place of beneficial nutrients. Protein-rich foods: Protein is needed to construct all body tissues, cells, enzymes and most hormones. It is crucial for children to have enough protein to ensure healthy growth and development. It also helps us to feel fuller for longer and to keep blood sugar levels balanced. A source of protein should be included with every meal. Sources of Protein: Fresh meat, poultry and fish, eggs, avocados, milk, cheese, natural yoghurt, chickpeas, beans, hummus, quinoa, nuts and seeds. Colourful Foods: The easiest way to include foods that are high in essential vitamins and minerals, particularly when explaining it to children, is to try to include more brightly coloured fruit and vegetables. When covering healthy eating with my classes I encourage children to try eating different colours, all the colours of the rainbow, and it can become like a game, who can eat the most different colours? Leafy green vegetables are the best ones to aim for, but really, the addition of more fruit and vegetables will always be beneficial. Healthy Fats: Fats have long gotten a bad name, but healthy fats such as omega 3 and 6 are proven to improve brain development (our brains are about 70% fat), concentration, heart health, skin conditions, inflammatory conditions (such as eczema and asthma) and much more. The best sources of the Omega fats are oily fish (salmon, tuna, mackerel, herring, sardines) seeds, nuts, avocados, eggs, whole grains and good quality red meat. Foods high in Sugar: Unfortunately this cannot be as easily spotted as in years gone by. Yes, the obvious culprits are still chocolate, sweets, fizzy drinks, biscuits and cakes, but now sugar can be lurking just about anywhere in processed foods. Breakfast cereals, breads, yoghurts, coated rice cakes, cereal bars, crackers, fruit juices, anywhere really. Always check the ingredients list; the first ingredient is the one that is present in the highest quantity. If sugar is high up on the list then it is best to avoid it. What’s easier is to steer clear of food in packets altogether. Raw, whole foods will automatically be lower in sugar and will also contain more nutrients. But if pre-packed is the easiest option some days, take a quick look at the sugar content first. We all know the effect sugar can have on our concentration, mood, weight and overall health, so it should be kept to a minimum in your child’s diet. Refined Carbohydrates: Carbohydrates (bread, pasta, rice etc) are basically made up of lots of glucose molecules stuck together. If a carbohydrate is overly processed during the course of its production (as is the case with white bread and pasta) the glucose molecules start to come apart, and once they enter our bodies they quickly turn into available sugar. This happens with all carbohydrates and we need these glucose molecules for energy, but if they enter the bloodstream too quickly, as is the case with refined or processed carbohydrates, this results in blood sugar levels spiking. What happens when blood sugar spikes is we get a rush of energy and alertness, and we may become agitated and restless. Unfortunately, the blood sugar levels then have to drop, resulting in ‘sugar crashes’, which are characterised by energy dips, fatigue, poor concentration and hunger. If children are consuming too much sugar for breakfast or during the school day, the resulting crashes mean they are less able to focus on their learning, less able to retain what they are learning, and more likely to become tired and irritable. Processed foods/fake foods: There is any number of weird, synthetic ingredients working their way into our food supply these days, and with each one of them comes its own list of side effects. I won’t go into too much of the science here, but overall, these are not the kind of chemicals we want our children ingesting, and foods high in strange ingredients you can’t pronounce should be limited. 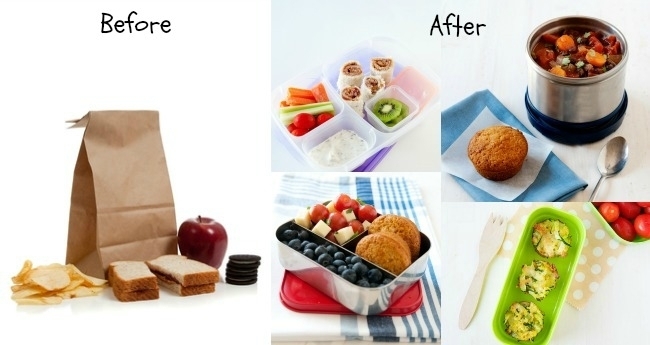 Sandwiches are a firm favourite in school lunches and this shows no sign of changing. To get the best from your sandwiches always choose brown, wholegrain bread, and try to vary the fillings, using it as an opportunity to include some more vegetables. 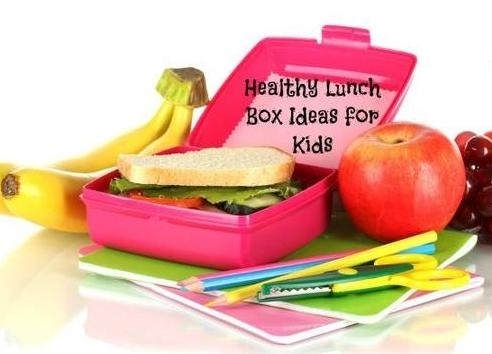 Ideas include ham, chicken, tuna, salmon, or cheese with lettuce, rocket, spinach, tomatoes, peppers, sweet corn or avocado. If at first your child seems reluctant, keep trying different variations until you find one that works. The same fillings work with wholegrain pitta breads or wraps. Fruit and vegetables: It doesn’t have to be one or the other, they can have both. Carrot sticks, cucumber, peppers, or celery are easy to prepare and children enjoy their crunchy texture. You could include a small tub of hummus or blended avocado for them to dip them into. The usual fruits that appear are apples, oranges and bananas, but don’t forget about berries and lovely sweet fruits like pineapple and mango. Making up a tub of fruit salad with pieces of fruit and a handful of ground seeds will add a source of protein. Pasta salad can be a filling and healthy option if you trust your child with a fork (a small plastic one will do). 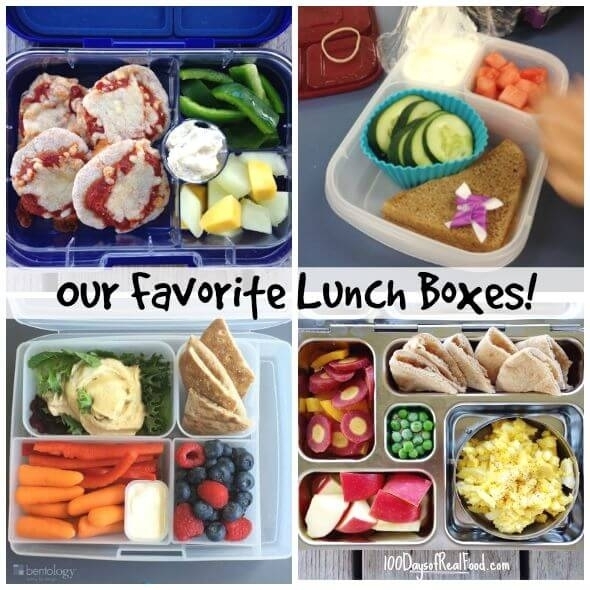 Include salmon, tuna, chicken, peppers, sweetcorn, onions, spinach or any vegetables you like. 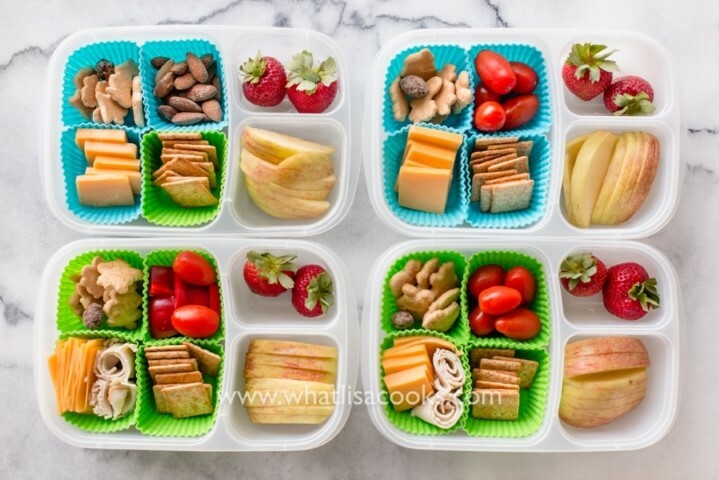 Green salads also work, and are great for increasing the intake of leafy greens (spinach, kale, broccoli) but may need a bit more bulking up, so you could include cheese cubes, chicken pieces, roast chickpeas, whole seeds or avocado. Don’t forget about leftovers. 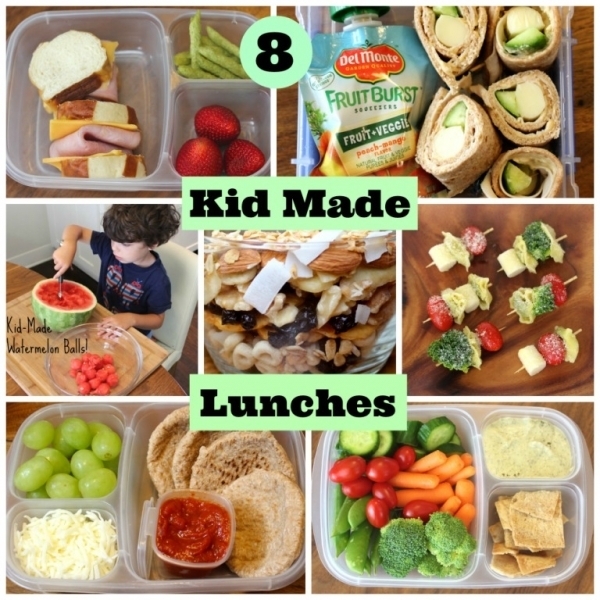 You probably have them for your lunch so why not the kids? If you made a lovely chicken stir-fry last night, that can be packed up and eaten cold in school. If you have leftover mashed potatoes, try mixing them with mayonnaise, scallions, kale and some meat to make a filling potato salad. If you made salmon or beef for dinner, keep a little and mix it into a green salad. Just because it’s a school lunch doesn’t mean it has to be boring. 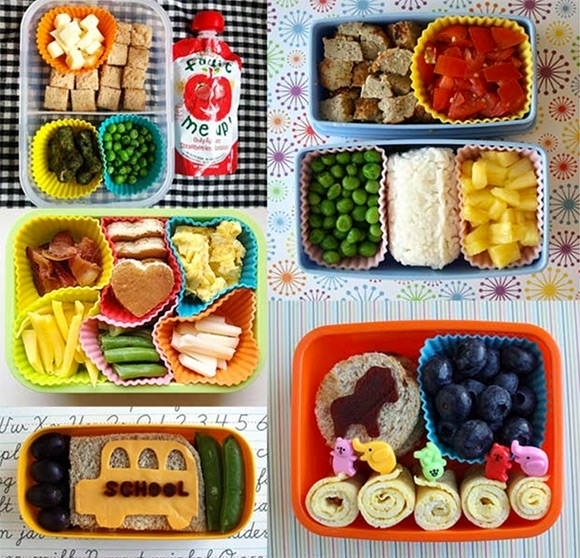 In summary, planning and preparing lunches shouldn’t involve too much extra stress. There are some things to avoid, but there are easy and nutritious alternatives available. Try to use the lunch box as a great opportunity to sneak in more fruit and vegetables so that responsibility is not lying solely with dinner. The Golden Rules can really be summed up as less sugar, less artificial foods, and more whole grains, protein and fruit/vegetables.